CANADA: The Canada Pension Plan Investment Board (CPPIB) and energy infrastructure company Enbridge will form a joint venture (JV) to pursue future European offshore wind projects, the companies announced. CPPIB has also agreed to acquire a minority stake in some of Enbridge's renewable power assets, including German offshore wind farms and North American renewable power assets. The two companies' 50-50 joint venture (JV) will develop European offshore projects, which may be in the early development, late development, construction or operational phases, the two partners stated. A CPPIB spokesperson would not comment on which countries' waters the projects might be situated. 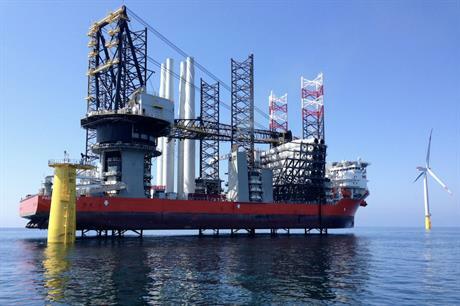 Investment manager CPPIB will also acquire 49% of Enbridge’s 49.9% interests in two German offshore wind projects, the 497MW Hohe See and 112MW Albatros sites, for C$1.75 billion (US$1.35 billion). This agreement will leave CPPIB with a 24.451% interest in the sites, and Enbridge with a 25.449% stake. Developer EnBW owns the remaining 50.1% majority share of the project. EnBW began construction at the Hohe See and Albatros wind farms last month, and commissioning is scheduled for 2020. CPPIB will invest an additional C$500 million to fund its share of the remaining construction capital required to complete the projects, it stated. It will also acquire 49% of Enbridge’s interests in 14 operational wind and solar assets in four Canadian markets, and one wind and one solar project in the US. The unspecified projects have a combined capacity of approximately 1.3GW, CPPIB added. Enbridge and its affiliates will continue to manage, operate and provide administrative services to the North American wind and solar projects and German offshore sites. Both acquisition agreements are subject to customary closing adjustments and conditions. Closing is expected to occur during the third quarter of 2018, CPPIB stated. The Hohe See and Albatros agreement and European offshore JV marks CPPIB’s entry into offshore wind. It formed a JV with Votorantim Energia (the energy subsidiary of Brazil’s Votorantim Group) in December 2017, invested in Indian renewable energy developer ReNew Power in January, and acquired 394.2MW of projects from a NextEra Energy yieldco in April – but to-date the investment manager has no offshore wind projects in its portfolio.